People rely on standard outlets in their cars and homes to power a variety of electrical devices. Yet 95% of motorcycles and virtually all other outdoor powersport vehicles are unable to even charge a cell phone, let alone power heated clothing without first modifying the vehicle. Powerlet makes it convenient to install a power outlet and to connect and mount electrical devices. Our Rugged Electrix product line is reliable — it withstands water, vibration, UV rays and oil/gas. People around the world are realizing the benefits of being Powerlet Equipped, our products have already been sold into 37 countries. Powerlet employees work hard every day to maximize the comfort, convenience and safety for motorcyclists through the worldwide manufacture and distribution of rugged electrical accessories. Our daily efforts are designed to be a win for the customer, dealer, industry experts and OEM's alike. Being in the trenches for the past 9 years developing a new Rugged Electrix product category has taught us a few lessons. Sharing this practical, real-world, experience for the good of the motorcycling community is an important part of our companies mission. In 2003, Powerlet won the SBA's (MI-SBTDC) "Best Small Business of The Year" award. Powerlet now has dealer and distribution outlets throughout the USA, UK, Europe, Asia, and Australia. We provide support for outlets found on BMW, Triumph, KTM and Ducati. Direct OEM customers include Polaris Industries, Indian Motorcycles, Motus and KTM North America. Headquartered in Sterling Heights, Michigan, Powerlet is owned by Powerlet LLC. We are powersport enthusiasts... and it shows. Our products are designed, developed, manufactured and sold by employees who ride; we refer to it as "eating our own dog food." At Powerlet, our products help riders reach their destination safely while getting the most out of their journey. No matter if it is a short commute or traveling across the globe, Powerlet products are designed for your lifestyle and built for a lifetime. Provide unique solutions to market opportunities. Listen and understand our customers requirements. Allocate resources for performing the work activities. Encourage teamwork and train staff. Ensure that activities are safe for employees. Develop the Powerlet brand internationally. Strive to be subject matter experts (SME's). 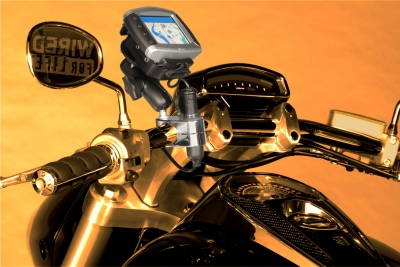 Maximize the comfort, convenience and saftey for motorcyclists through the manufacture and distribution of rugged electrical accessories worldwide.